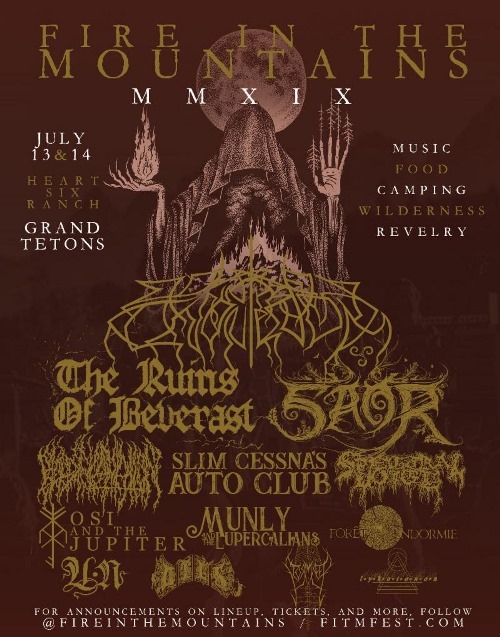 The full lineup for this year’s installment of Fire In The Mountains has been revealed. The festivities begin with a pre-show on Friday, July 12th, followed by the official even on Saturday, July 13th and Sunday, July 14th. Early bird tickets can be purchase at this location; these are strictly limited to 200 tickets. Regular festival passes go on sale in February. Festival attendees can also camp at nearby Heart Six Ranch to eat, drink, and have access to sponsored hiking trips, whitewater rafting, backpacking, fishing, canoeing, horseback rides, and other outdoor activities during daytime hours preceding the musical performances in the evening.